The ISEE and TACHS attempt to measure reading and thinking skills. No amount of TACHS or ISEE test prep can make up for a lack of reading or thinking skills. However, these skills can be helped in only a few weeks. Our brain-based program not only strengthens the underlying abilities these high stakes tests assess, but also works on test-taking skills needed on test day for the ISEE test and TACHS. This is a 30, 50 or 90-minut-a-day program that takes two to three months depending on the student’s starting point and goals. 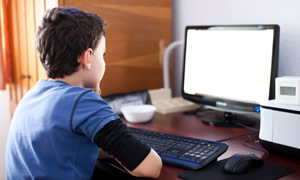 Students work online or the software can be downloaded to your home computer. Note: this is not traditional test prep. We do not teach to the test. It’s a cognitive approach to test prep that works on the whole student — language, reading and thinking skills. Improved reading skills. Quicker, more accurate reading will improve test-taking efficiency. Critical reading, comprehension. The ability to draw inferences from the text and to reason are core competencies being tested. Our program builds these skills, a powerful source of points. Better retention, faster test taking. We can build processing speed and improve retention with working memory exercises that help avoid time-consuming re-reading, and improve multiple-choice efficiency — specifically being able to hold a question in mind, while reading answer choices. Test taking stamina. Fast ForWord can reduce impulsiveness, i.e., less careless errors, by improving working memory, so critical in multiple choice and in reading long passages. The program also specifically works on test taking focus and attention stamina if needed. Vocabulary and language. Fast ForWord builds sophistication in vocabulary and meta-linguistics — dexterity with language — that will serve the student for life. If the essay portion will be challenging for your child, we have exercises that build the critical thinking and abstract reasoning skills that directly impact essay writing. If essay writing is a particular concern we have a series of structured essay assignments that can be completed at home. Our program helps test scores because it works directly on the underlying talents and skills being tested in high stakes tests like the ISEE and TACHS. These are abilities (and point gain opportunities) that traditional test prep does not address. Our goal is to help each student make the most of his or her natural smarts.